Who would have thought that it would be a balmy 70 degrees here today in northern Minnesota? I usually work on my covered patio outdoor Christmas vignette during Minnesota deer hunting season, but normally the weather is much cooler and there may even be some snowflakes. In my last blog post, I shared this ski lodge sign. 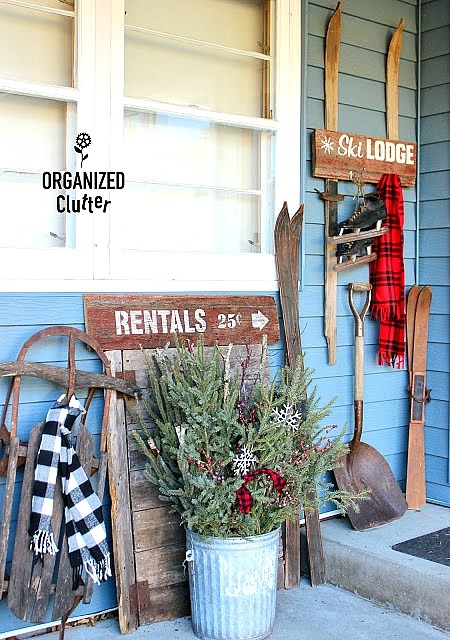 I used this project as this year's outdoor vignette theme. 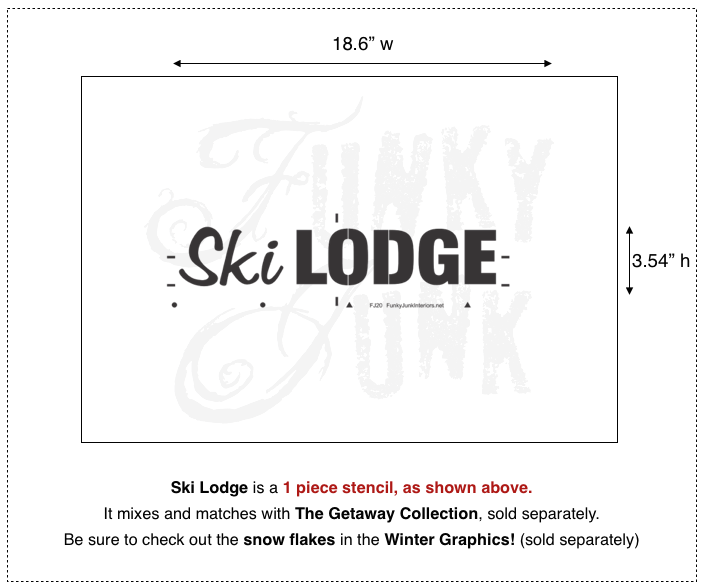 The ski lodge sign was stenciled from a design from Old Sign Stencils. I used ivory craft paint for the stenciling. The snowflake was from the Old Sign Stencils Winter Graphics. 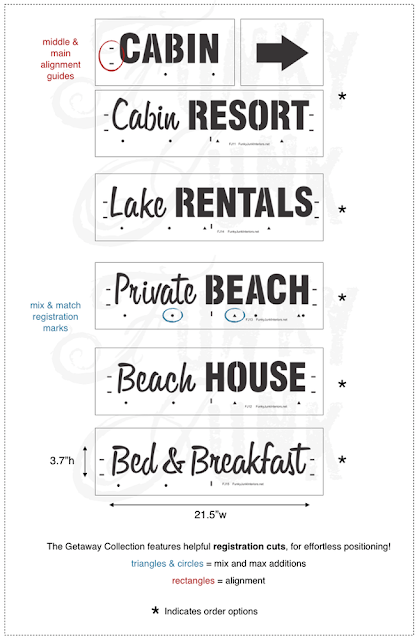 My rentals sign was stenciled with the above stencil from the *Getaway Collection. 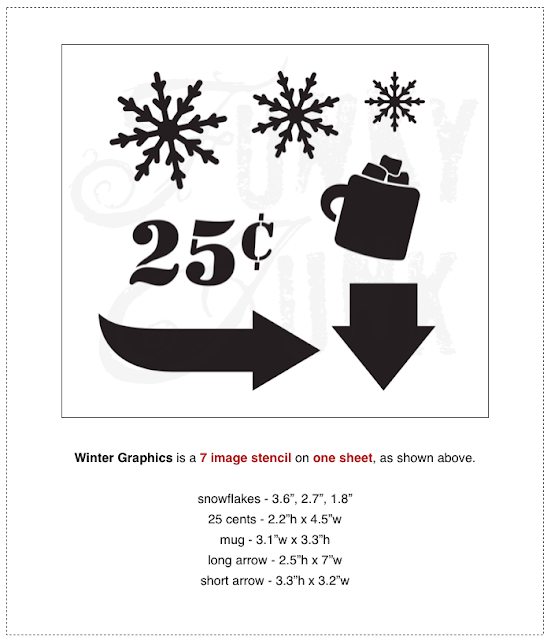 The 25 cents and arrow are also from the Winter Graphics Series. I love to add spruce tips to my summer galvanized flower containers. See my greenery bucket tutorial HERE. 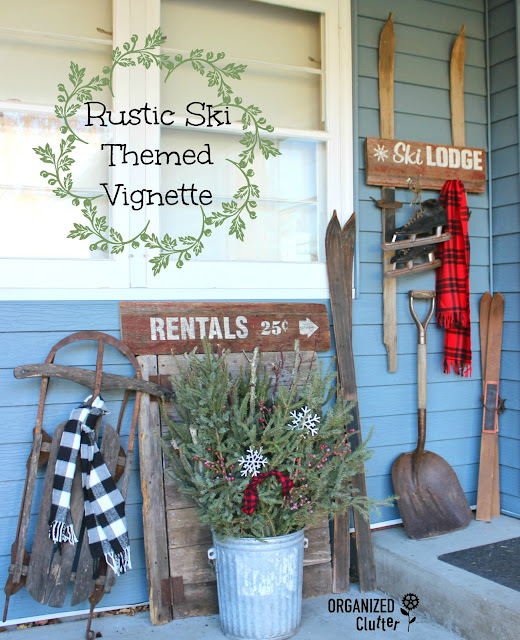 The balance of the vignette includes a very junky old sled, part of a weathered barn door, two sets of vintage skis, an old snow shovel, old skates and two plaid scarves. 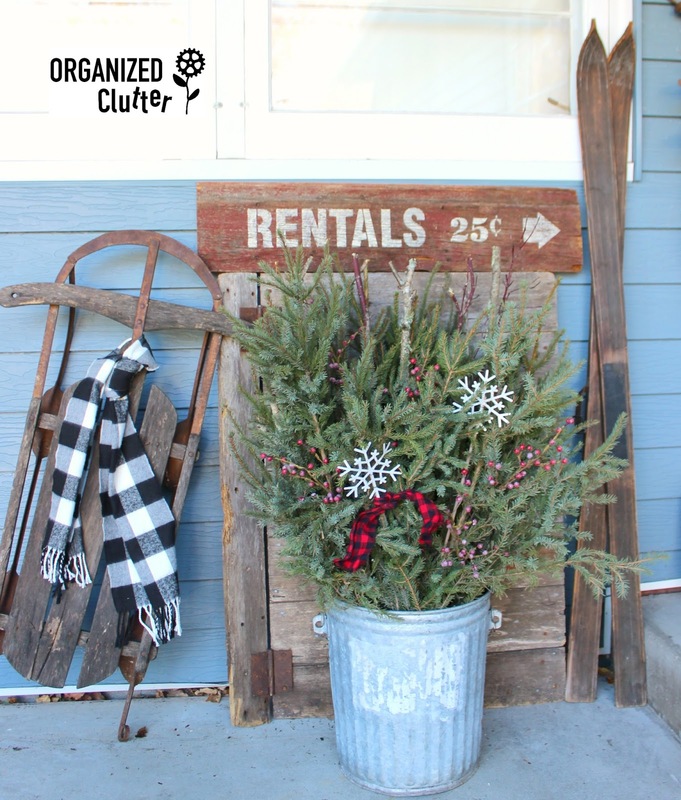 I know it's not Thanksgiving yet, but here in the north country, we start our outdoor Christmas decorating early, before the cold and snow comes. 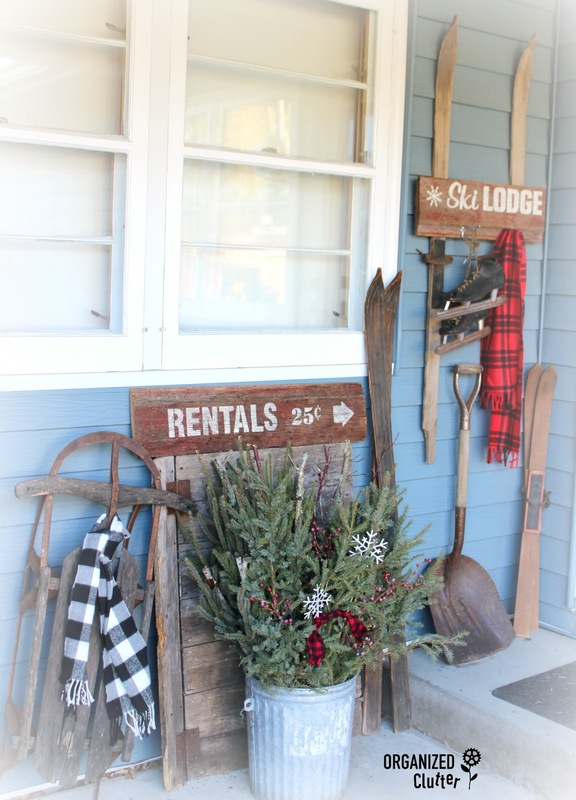 So that's my covered patio rustic Christmas vignette for 2016! I love your garbage can with the christmas branches!!! GORGEOUS! By the way I saw your picture in teh newest Country Sampler magazine!!! 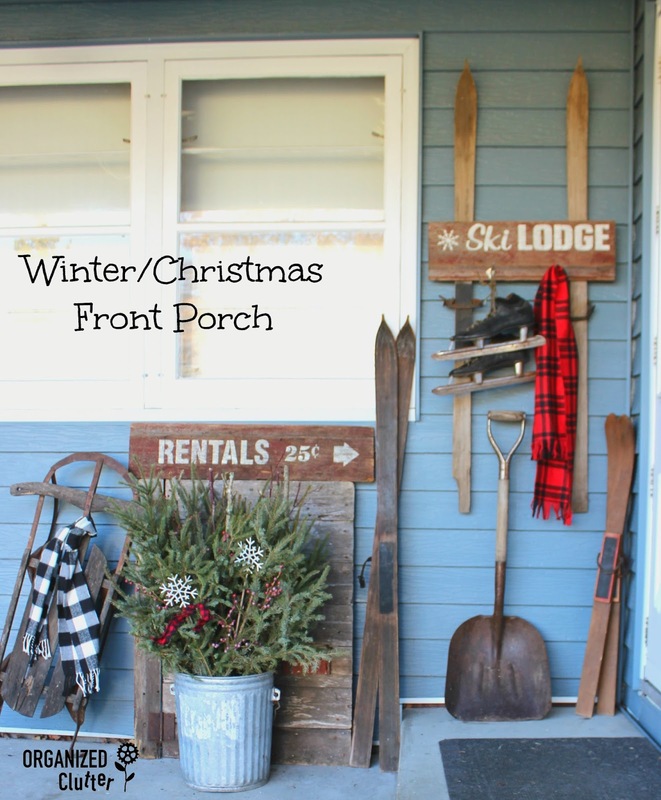 My porch is in there as well on page 26! We ROCK!!! 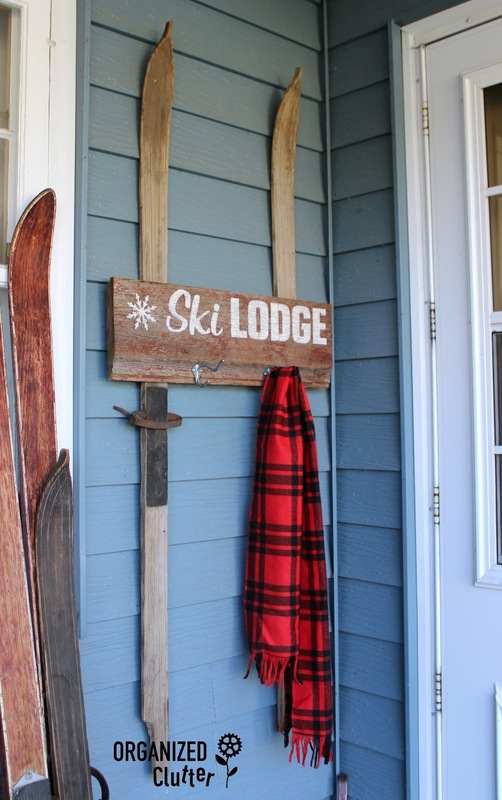 I love your vignette! Both for its rusticity and Christmas theme...very attractive the way you have it all put together. Wish we had "spruce tips" down here in the Deep South!